Thomas Ludwig (aka lyc on deviantart and lycium everywhere else) is a very friendly, talented, well traveled and busy fellow. He was born in Germany, lived in Indonesia from age 5-8 and in South Africa until age 19, before starting a nomadic life roughly centered around New Zealand (where his family now lives) and Europe. He will be speaking at SIGGRAPH in Vancouver, Canada this year. SIGGRAPH is the world’s largest, most influential annual conference and exhibition in computer graphics and interactive techniques: Five days of research results, demos, educational sessions, art, screenings, and hands-on interactivity featuring the community’s latest technical achievements, and three days of commercial exhibits displaying the industry’s current hardware, software, and services. I learned a lot during our many chats leading up to this interview and have been pleasantly surprised at the detail Thomas has provided to my questions. MM: How did you meet Daniel White and Paul Nylander? Thomas Ludwig: Daniel White (twinbee) first posted on Fractal Forums (where I was an active user since its inception in 2006) with a paper sketch of what kind of 3D Mandelbrot he was hoping to find. Some interesting discussion of mathematical limits (particularly Liouville’s theorem) followed, which made me rather pessimistic about finding algebraic 3D fractals that are detailed everywhere, without the smooth “whipped cream” effect that is well-known from the quaternionic Julia sets. Paul Nylander I’d run into before in my internet travels; he maintains a very informative and interesting website full of math and physics stuff. MM: Both Daniel and Paul have praised you for your contributions to the discovery of the 3D Mandelbulb! In your own words, can you recall exactly what your role was and how that influenced the process? 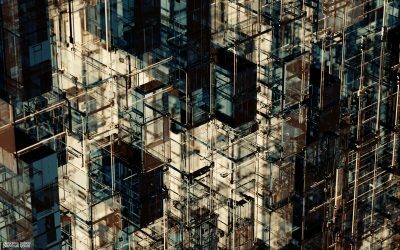 Thomas Ludwig: I was lucky to be in the right place (active on Fractal Forums) at the right time, but as they say, fortune favors the prepared: I had been writing an experimental rendering engine at the time, with global illumination by Metropolis light transport (specifically the super elegant variant by Csaba Kelemen). Daniel White’s description basically gives you an inside/outside test at a point, i.e. given a point (x,y,z) in 3D space you can determine if it is inside or outside his 3D fractal; this is in contrast to how 3D fractals are normally described, in terms of distance estimation functions (à la John C. Hart). Having only an inside/outside test made the rendering extremely slow since you have to “march” along visibility rays using a fixed step distance, which cannot be too high else you will miss details, and in a fractal that is a very problematic matter. It also makes it very difficult to estimate the surface normal (orientation) once you have found the intersection point. At the time CPUs were not so fast, and to be honest, MLT is not the best algorithm for simple lighting situations, so the first images had quite a lot of noise in them. I was quite happy with the slice of the power-2 Mandelbulb, which indeed looks like the outline of the 2D Mandelbrot, but begins to extend upwards in interesting ways; I’m quite bored of the Mandelbrot (having used FRACTINT in the MS-DOS days), and the Mandelbulb is to me much more visually interesting. 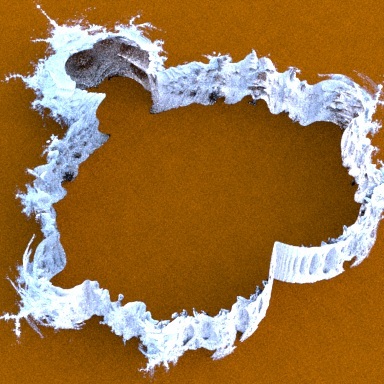 MM: In your opinion, how has technology advanced the science of fractal and chaos theory as it pertains to rendering 3D images and fractals in particular? 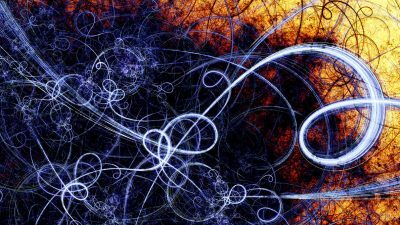 What tools do you believe have most improved the process of discovery for the field of Fractal Sciences as well as the artist? Thomas Ludwig: A major advance over the previously described inside/outside-based rendering method is the use of distance estimators, which I believe was first derived for the Mandelbulb by Íñigo Quílez, after he did some great work simplifying the process from being in terms of spherical angles to simple algebra. Nothing less from a great demoscene wizard! I can’t say I’ve noticed other big improvements on the technical front; most of the specialized fractal rendering software has quite dated rendering technology. Fortunately, the much more difficult problem of how to effectively expose all of this weird fractal stuff in a user-friendly way has been attacked by software such as Mandelbulb3D, Mandelbulber and Fragmentarium (the latter in a more indirect way, as a general shader editing tool). MM: I know you are one of three employees in Glare Technologies Limited which was created in 2008 as the parent company for Indigo Renderer and Chaotica. 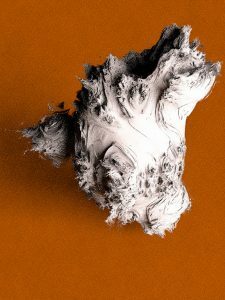 Can you tell us a bit about Indigo Renderer and Chaotica and how they differ from Mandelbulb 3D? 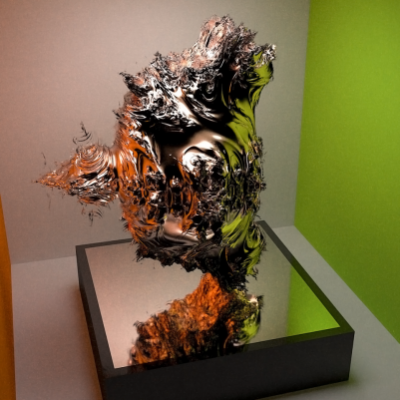 Thomas Ludwig: Chaotica is the easier one to differentiate, because (currently) it’s a purely 2D renderer; there is no depth of any kind, and it uses the Iterated Function System (IFS) instead of ray tracing. IFS is a bit like astrophotography: you have a virtual “film” or sensor, which leave to expose, i.e. collect virtual photon hits. 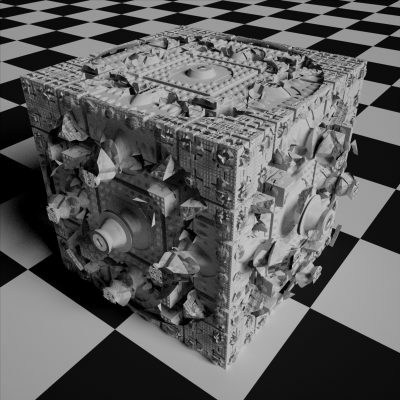 Indigo Renderer is a 3D raytracer, like Mandelbulb 3D, but it places much more emphasis on physical accuracy and is a professional product aimed mainly at architectural and product visualization markets. MM: Does Chaotica use GPU for rendering or just CPU? Thomas Ludwig: It currently only runs on CPU, however, it’s important to note that the engine runs in double precision (which GPUs do at 1/32 normal speed), and is highly optimized to the point where it gives the GPU a good run for its money. Of course, there will be cases where double precision is not needed and people have multiple GPUs / weak CPUs, and for those cases, Chaotica will have GPU rendering in the next version (which has been a very long time coming). MM: Is Indigo Renderer designed for use in conjunction with other programs or as a standalone application? If so, what other programs can use it? 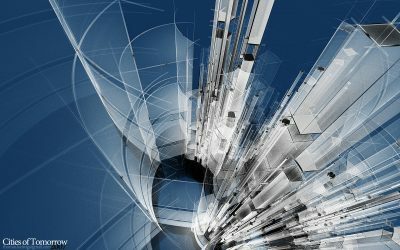 Thomas Ludwig: It can be used standalone to a degree, though it’s almost always used with other programs such as 3ds max, Cinema 4D, Blender, SketchUp, etc. MM: What accomplishments can you attribute to these programs? Are they still in ongoing development? Thomas Ludwig: Chaotica gets used in a bunch of Hollywood productions, most recently Annihilation. It’s been used by beeple a few times, which I’m personally very happy about because he’s one of my favorite artists. Indigo Renderer is much better known than Chaotica I think, but in a more “indie” way; in the 3D world, Indigo is the underdog. We compete with much, much larger companies. MM: You have written various programs over the years. Can you expound on these and provide links and samples, if available? Thomas Ludwig: I’ve been programming more or less nonstop since age 15 or so, so there will be literally hundreds of small programs, almost all without proper names. I’m mainly interested in topics involving numerical computing, such as ray tracing, fractals, gravitational simulations (N-body problem), … things like that. I specialize in computer graphics, and the list of programs meaningful to others is pretty complete with Chaotica and Indigo Renderer. MM: Do you have any other projects in the works at this time? Besides that, I’d like to start making some programming tutorial videos. The plan for many years was to write a book based off collected chat logs from the many people I’ve taught over the years, but I’ve had to give up on that since I’m just too disorganized and thinly spread for such a big undertaking. MM: Considering your experience and such a storied history in the fractal community, what advice would you offer to a new artist just starting to explore fractals? Thomas Ludwig: Hahaha, I don’t think it’s really that “storied”, I just lurk a lot online and do what I can 🙂 I think by the time someone is already interested in fractals, the course has been set, and it’s mostly a question of controlling one’s fractal addiction! Interest is the driving force, as long as they have that, it’s just a matter of how much time they can afford to spend on it. Joining an online community such as Fractal Forums, or perhaps the Fractal Chat channel on Discord, is probably a good idea since there are many people from all walks of life, using all kinds of programs; there’s something for everyone at all skill levels. MM: Are you still enthusiastic about the future of fractal research and the possibility of new discoveries? Thomas Ludwig: There’s a lot of buzz around fractals at the moment, and they’ve been steadily increasing in mindshare over the years, so I have no doubt that there will be a lot of interesting developments in the coming years; probably the best is yet to come! Ours is a very young field, which is very exciting because there’s lots for everyone to do. MM: My most humble thanks to Thomas for making time over the past few weeks to be a part of this interview given his busy schedule. 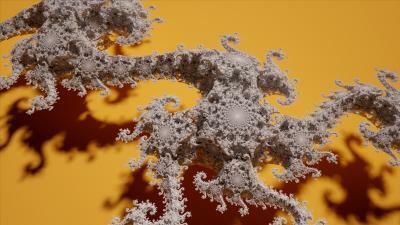 His love of the history of fractals has been very evident throughout this process.